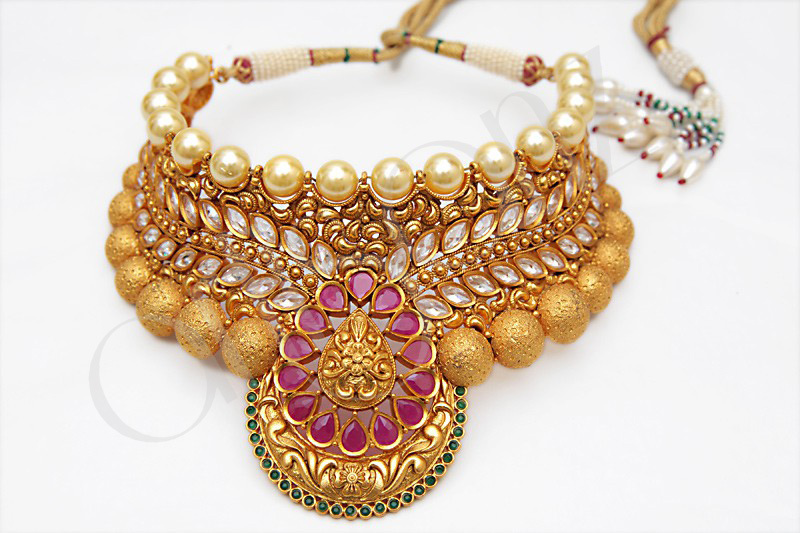 An eligant fancy ethnic awesome choker necklace that fixs the Neck, embedded with Pearl and Zircon stones. Beautiful plated kundan choker set adorned with zircon stones. The necklace comes along with a pair of matching earrings. 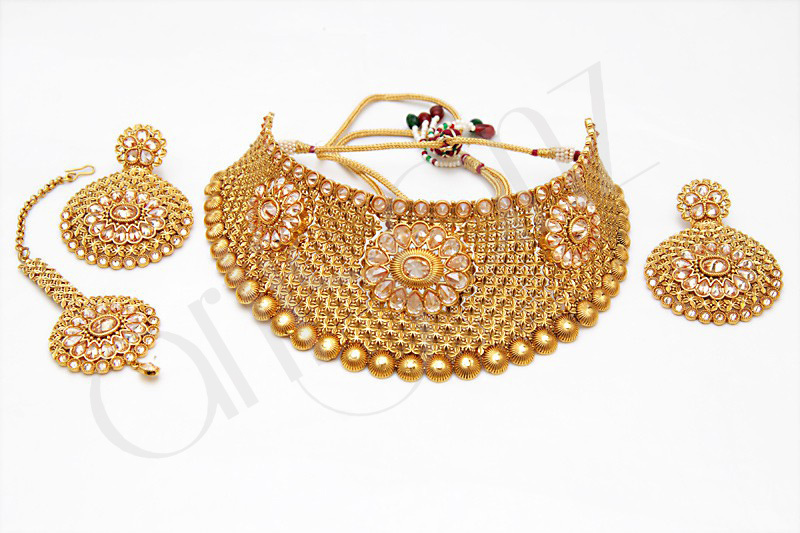 Very Beautiful and Attractive, sophisticated and glittering necklace set with earrings and tikka embedded with higher end crystal kundan meena setting. in addition to being ceremonial for weddings this beautiful set can also be worn on formal as well as semi formal occasions. 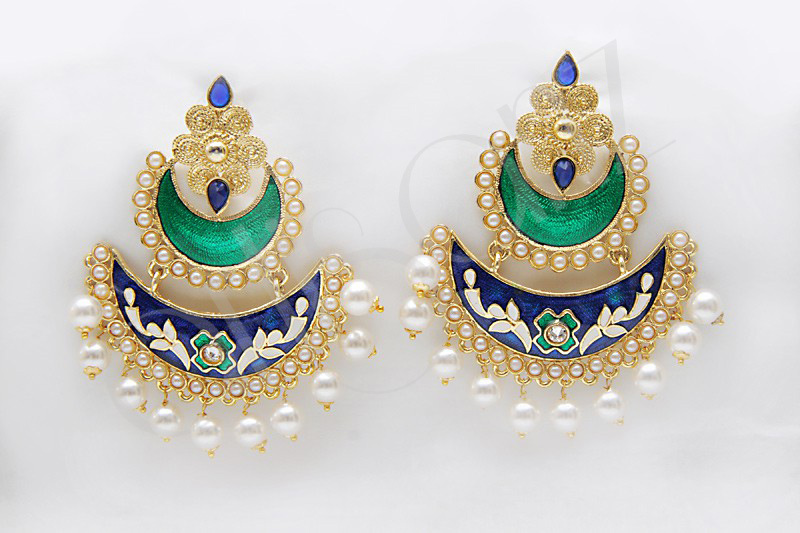 Earrings with Pearl and Gemstone bead with Royal blue and sea green notations add a great color palate for latest fashion and inspiration. 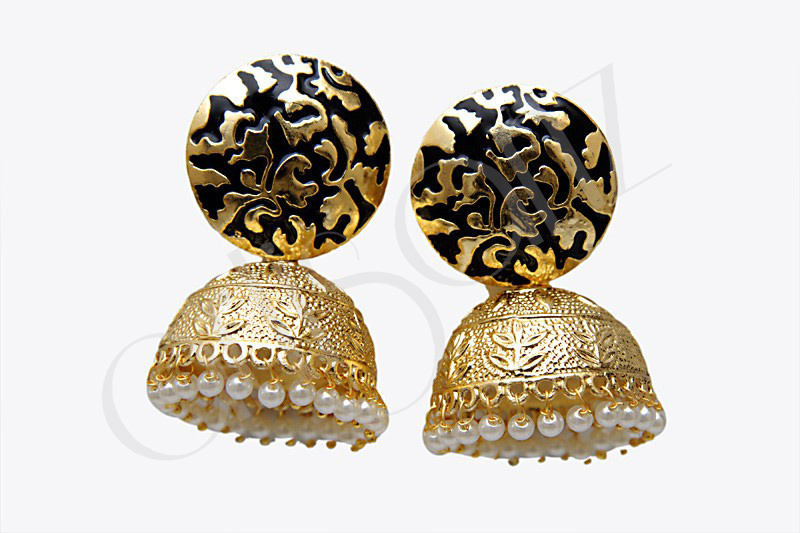 Evoking Umbrella style these Exquisite Earrings are crafted with pearls. Circular design with ornate cutout motifs add to their Aesthetic Beauty. 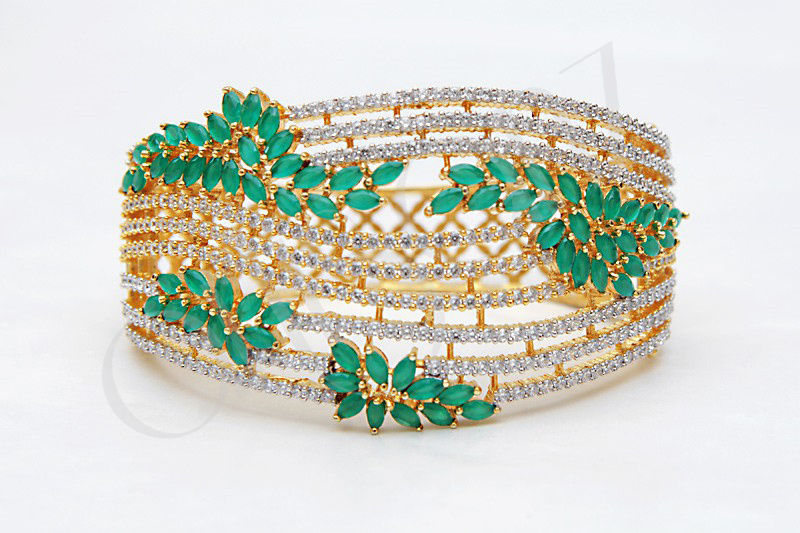 Green leaves blossom under glistening American daimond dewdrops in a bracelet of fascinating elegance. 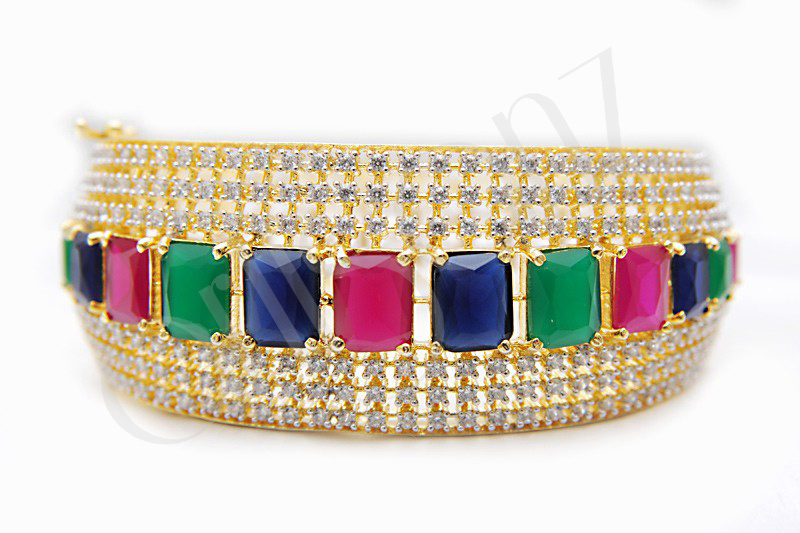 Beautiful gold plated bangles studded with cubic zirconia stones with Detailing and Delicacy.